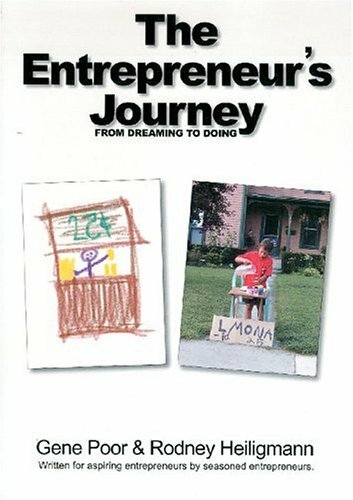 A no-nonsense approach to entrepreneurship, this is a book for entrepreneurs by two seasoned entrepreneurs. In brief - easy to follow chapters - the authors simplify the process of going from idea generation through market analysis to preparation of a business plan, while emphasising differentiation, niche marketing, positioning, and margins. Gene Poor Ph.D., is a professor of visual communication at Bowling Green State University. His career has been a combination of university teaching, administration, research, and program development coupled with new venture development, product creation, and training/consultation within the private sector. During his career as both educator and entrepreneur, Poor has worked with over 400 companies, museums, theme parks and retail organizations. He has written numerous articles and eight books on several technology topics, and has made over 200 presentations throughout the United States, Europe, and the Middle East. He is also the recipient of the 2004 Ernst and Young Entrepreneur of the Year for Northwest Ohio, and the 2005 Bowling Green State University Master Teacher Award. Rodney Heiligmann Ph.D., is an assistant professor of visual communication technology at Bowling Green State University. Rodney’s career has been focused on exhibit design, media production, entrepreneurship, communication theory, and theme park attraction development. He is also a principle partner of Lifeformations, a company that designs and develops lifelike static and animated characters for museums, theme parks, retail outlets, restaurants, and trade shows. Rodney has consulted with dozens of start-up companies across the world, written articles, given scholarly presentations, designed numerous award winning exhibits, and co-authored another benchmark book with Poor entitled Animatronics—A Designer’s Resource Guide.